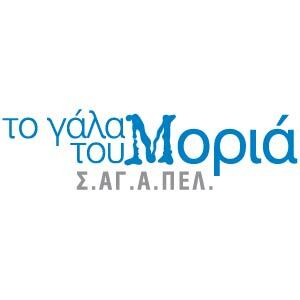 Gala tou Moria company is based on the milk of Cattle Cooperative East, of Peloponnese. A cooperative cattle farmers centered in Argolida wants to collect all the milk of East Peloponnese. Thus it is a vertically integrated company that controls the production of feed, milk production, bottling up to its distribution. At this moment has a full range of dairy products such as milk in packages ½, 1, and 5 liters, with full fat and light, chocolate milk, milk desserts (rice pudding, creams, etc. ), traditional cow and sheep yogurt, strained yogurt 1 and 5 ltr., cheeses (feta, cream cheese, cottage cheese, gruyere cheese),and cow butter. The sales network after three years of operation extended in five prefectures of Peloponnese (Corinth, Argolis Arcadia, Messinia, Lakonia), where we have become the leader in local milk. In the last year we operate in Athens in 150 small outlets where we prepare an important initiative for the future.